Our balloon centerpieces change up the way your tables/bar tops look during an event. With so many options and colors you can customize each table and use as a parting gift for your guests! The longlasting balloon decor is great for a multiple day event such as family reunions and corporate events. Click here to get a quote on your customized balloon centerpiece. 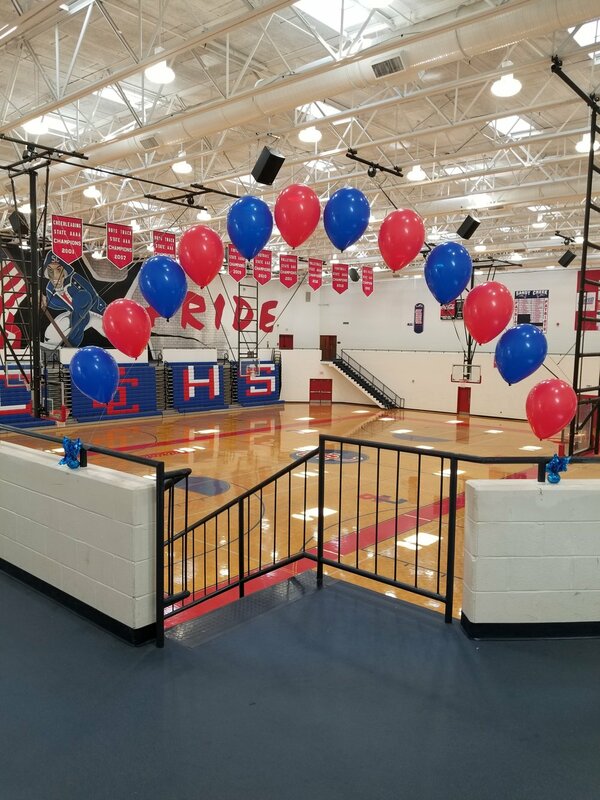 Balloon decorations for high school events can be a hit with classic balloon decor! This String of pearl is just one example of balloon arch styles. Easy to remove after an event which saves you time and $$ for strike fees. Coordinate your school’s colors with the very best balloons!